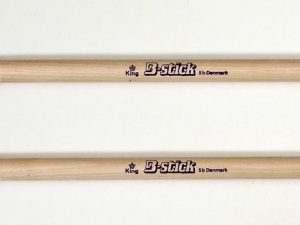 B-stick - The best drumsticks for drummers in the World - Get yours now! 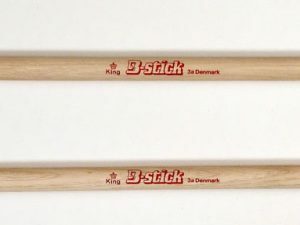 After 30-years, B-stick of Denmark can still proudly state that we produce drumsticks made by craftsmen, not factory workers. Therefore you should try them. 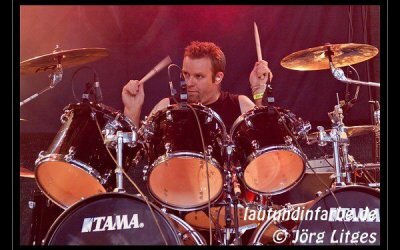 Finally we spare absolutely nothing when it comes to providing our customerswith the best drumsticks in the world. First of all the best way to experience our wide collection of sticks is to visit the store. 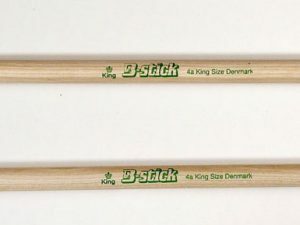 Follow the link below and choose among the widest range of drumsticks. 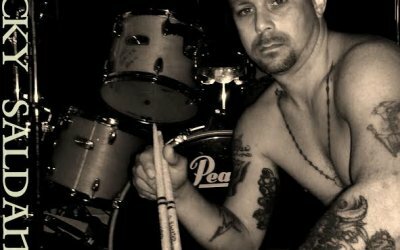 Do you want to play with the best drumsticks ever? Off course you do! 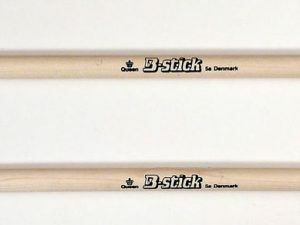 B-Stick delivers the best and most tested drumsticks anywhere. Handcrafted in Denmark of the finest raw materials using the most resource intensive processes to ensure consistent quality. 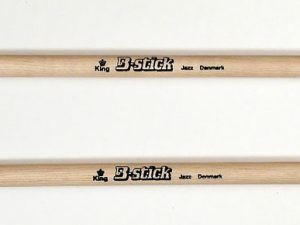 Give yourself the pleasure of trying B-stick drumstick from us. We use the best wood sorts for our sticks and with 30 years of handcrafting them, we know what works and how to create the best sticks. This is not a factory product – it takes time and skill to make the best drumsticks in the world, and we are proud of it. 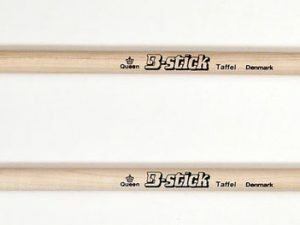 At B-Stick you can become an endorser or ambassador and get your drumstick at a lower prize. 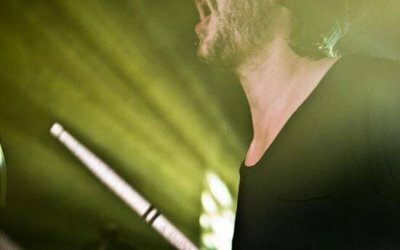 We value our endorsers greatly, so look at the endorsements page, to see if it is for you. 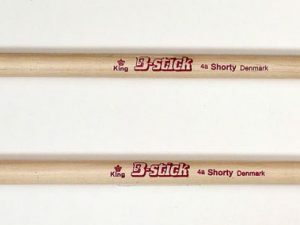 There are already several great drummers that use B-Stick drum sticks and they will never go back to factory molded ones. You get a lot of quality and sound out of a B-stick stick. 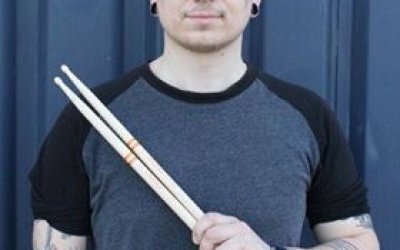 Have a look at our shop and find the drum sticks that suits you best. 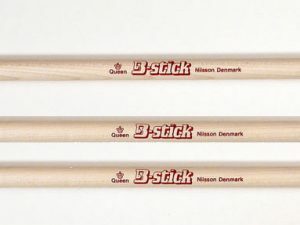 There is also the option to order personalized drumsticks with your or your band name on them. Cool give away too. If you want to be an endorser, send us a message on the contact page. If you want your own personalized drumstick, pick your model and download the image with the white area, fill it out and send it back to us, we will do the rest. If you have questions – call at +45 26 18 43 80 or mail us, we will reply when we have the time. 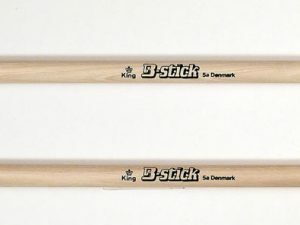 Enjoy your drumsticks from B-Stick – quality, style and superb materials in one.